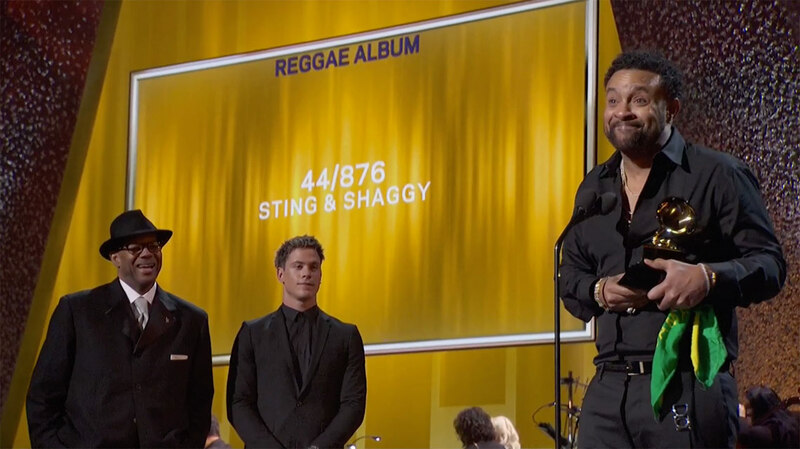 The Grammy Award winner in the category BEST REGGAE ALBUM are Sting & Shaggy with 44/876. Congratulations! Shaggy accepted the Award live on stage. His partner in crime Sting was absent. Watch Shaggy's acceptance speech below. Shaggy was nominated as a solo artist six times (5x Best Reggae Album, 1x Best Pop Collaboration With Vocals for It Wasn't Me) and won the Grammy in 1996 for his album Boombastic. Most recently Shaggy announced the release of his new album Wah Gwaan?! for May 10, 2019. Read more about it here!